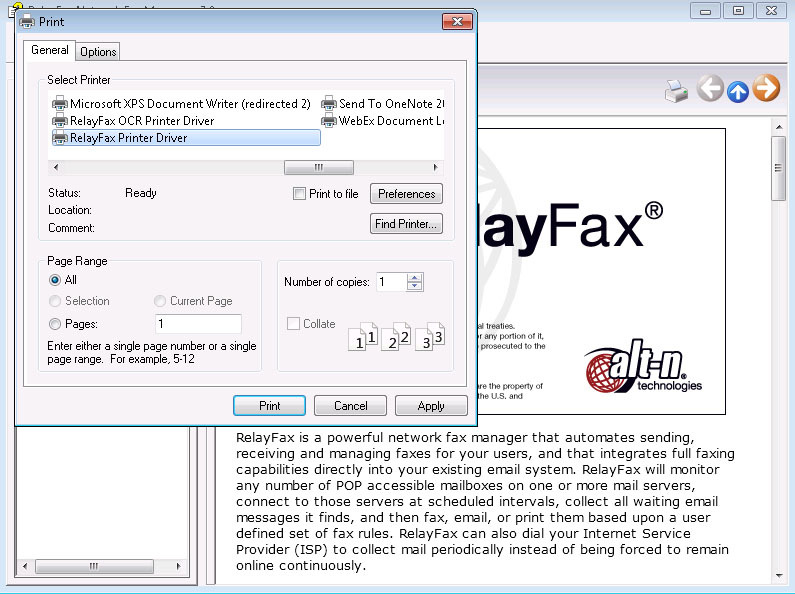 The RelayFax Network Fax Manager printer driver and integrated SMTP fax client provide an easy-to-use mechanism for users to send and receive faxes from any application, right from their desktops. 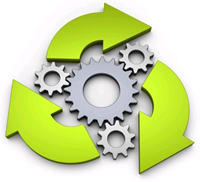 Many document formats, including DOC, JPG, PDF, PPT, AND XLS (and others) are supported. 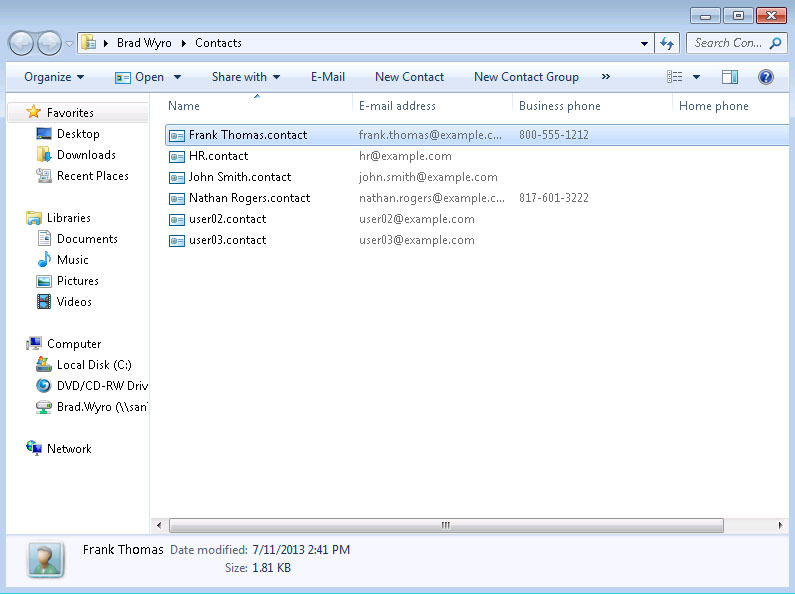 The Broadcast Fax Wizard and shared address book make faxing to multiple recipients simple and efficient. 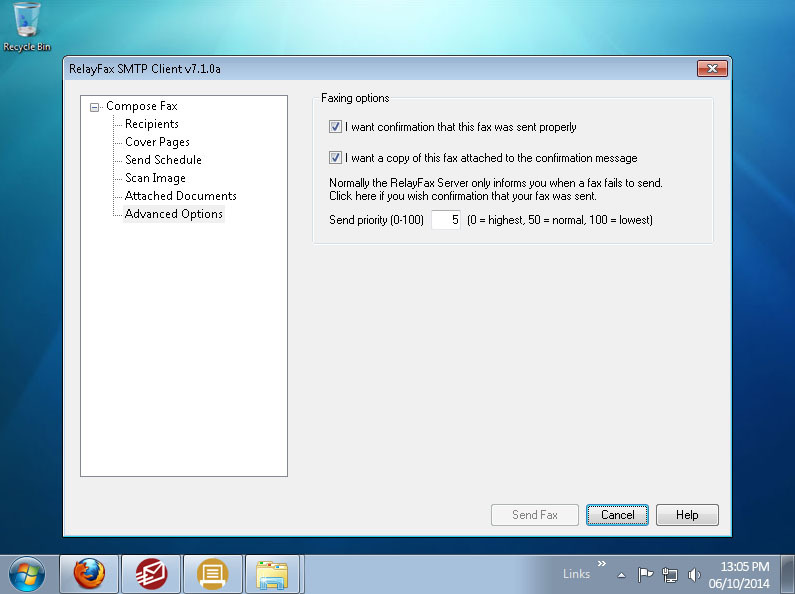 By sending a message to a designated email address, or by using the included Fax Client, you can send outgoing faxes directly from your workstation. 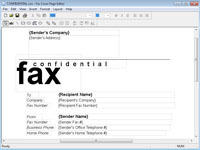 At scheduled times RelayFax connects to designated email servers, collects waiting messages, and faxes them to designated fax numbers. 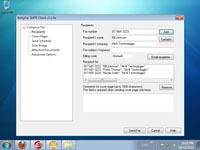 You can edit *.COV cover pages under Windows 2000/XP/7/8 using the Microsoft Cover Page Editor included with Windows 2000/XP/7. The older Windows 9x style cover page format (*.CPE) is also supported. 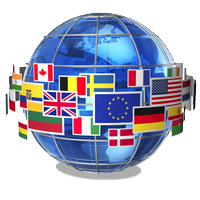 The RelayFax server and desktop client are available in multiple languages. 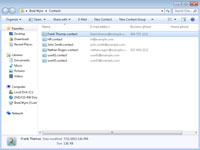 Included with RelayFax is a fax client that uses the Simple Mail Transfer Protocol (SMTP) to transfer messages to RelayFax via email. Installed on each user's workstation, the Fax Client has an intuitive user interface that simplifies the process of faxing from the desktop. 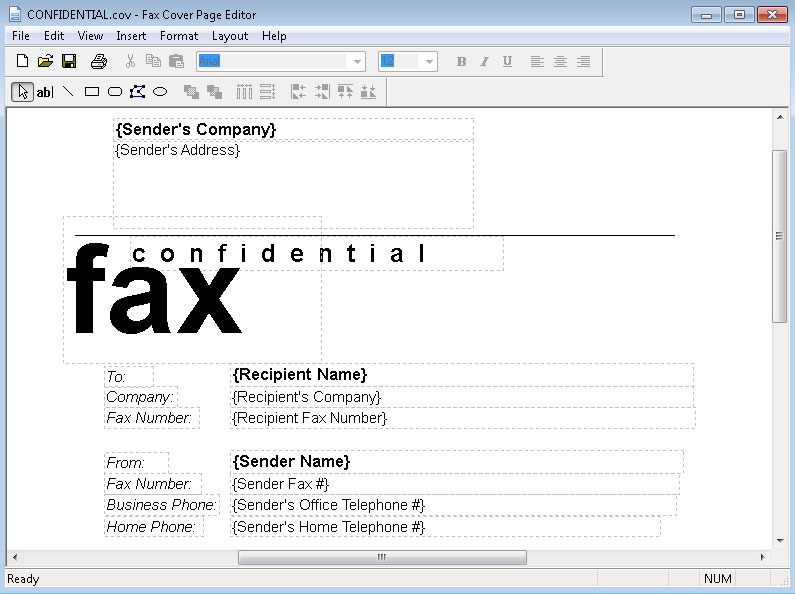 Documents in DOC, XLS, and other formats can be faxed as email attachments. 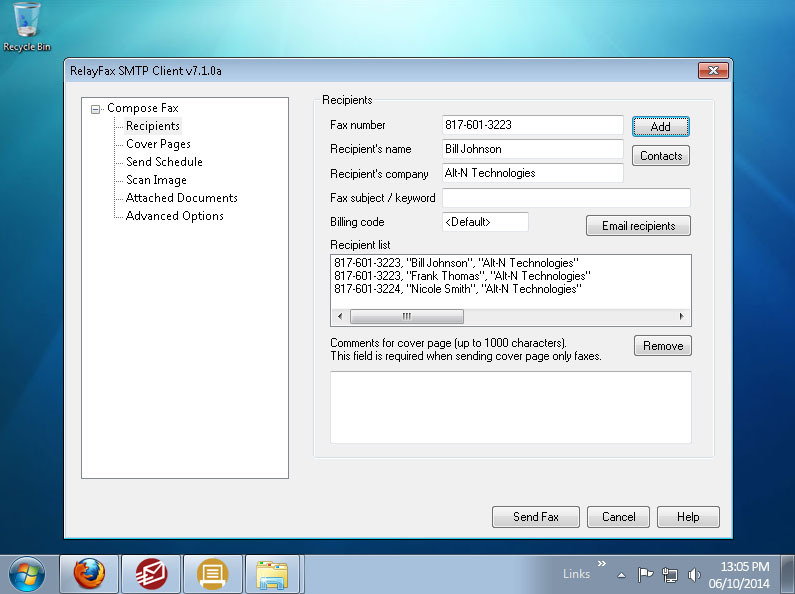 The client will transfer the documents via email to RelayFax, which will then fax them to their destination. When RelayFax has been updated, the server will automatically notify the user and provide instructions on how to update their Fax Client.